Caudalie Contouring Concentrate Review (2018) : Worth Buying? Caudalie Contouring Concentrate Review: What Makes It So Special? 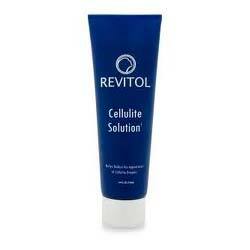 This product has been specially formulated to treat fat storage concerns appearing on the thighs, hips and buttocks. It is recommended for use on all skin types, and safe for use on sensitive skin. Manufacturer reports clinical test showed up to 1.5 inches reduction in thigh circumference. The study was executed by an independent laboratory with a certification from the French Ministry of Health. Caudalie Contouring Concentrate must be applied onto skin right after a thorough scrubbing and shower. This step is important to lock in the moisture content of skin and prevent sufficient surface water loss. Improved moisture levels will make loose skin appear tauter and tighter. To apply rub palms together before pouring product to activate the product. Rub Caudalie Contouring Concentrate on problematic areas of the skin vigorously with circular motions in an upward direction to help the product more easily penetrate your skin, while also causing microcirculation to significantly improve. Periodically exfoliate skin to improve product assimilation. For best results, use Caudalie Contouring Concentrate with the Caudalie Nourishing Body Lotion. Does Caudalie Contouring Concentrate meet your unmet needs when it comes to cellulites and firming creams? Any product can’t be as good as each have committed except when the labels and the formulation are pointing to the same results. Make sure you understand what this product is all about before you buy.